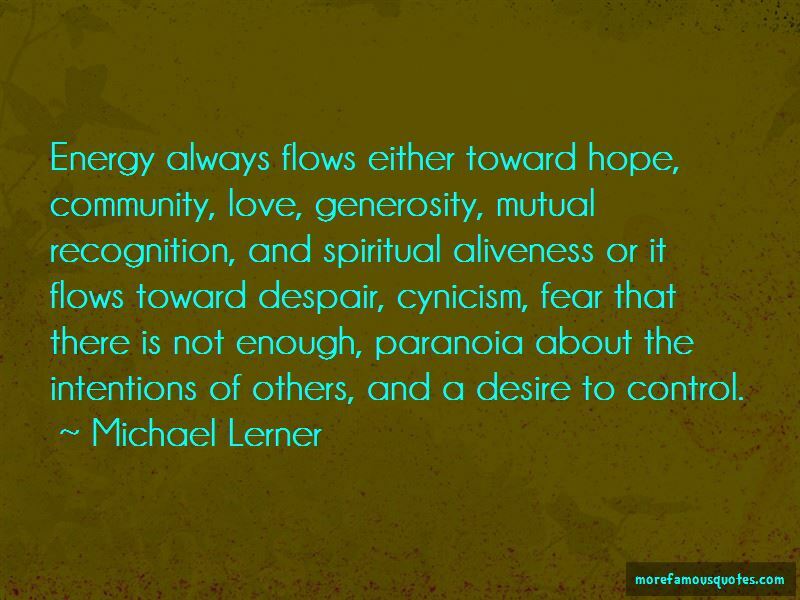 Enjoy the top 13 famous quotes, sayings and quotations by Michael Lerner. This focus on money and power may do wonders in the marketplace, but it creates a tremendous crisis in our society. People who have spent all day learning how to sell themselves and to manipulate others are in no position to form lasting friendships or intimate relationships ... Many Americans hunger for a different kind of society - one based on principles of caring, ethical and spiritual sensitivity, and communal solidarity. Their need for meaning is just as intense as their need for economic security. 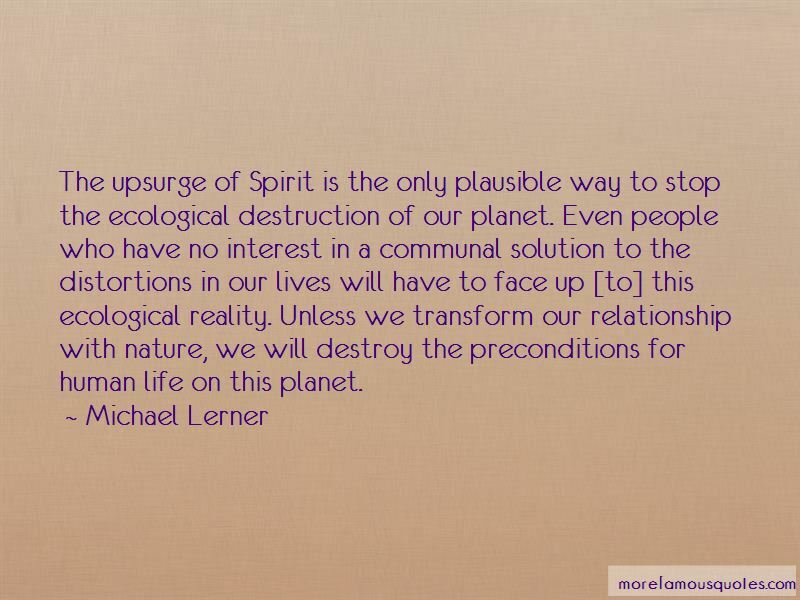 A spiritual sensibility encourages us to see ourselves as part of the fundamental unity of all being. If the thrust of the market ethos has been to foster a competitive individualism, a major thrust of many traditional religious and spiritual sensibilities has been to help us see our connection with all other human beings. We need to build millions of little moments of caring on an individual level. Indeed, as talk of a politics of meaning becomes more widespread, many people will feel it easier to publicly acknowledge their own spiritual and ethical aspirations and will allow themselves to give more space to their highest vision in their personal interactions with others. A politics of meaning is as much about these millions of small acts as it is about any larger change. The two necessarily go hand in hand. 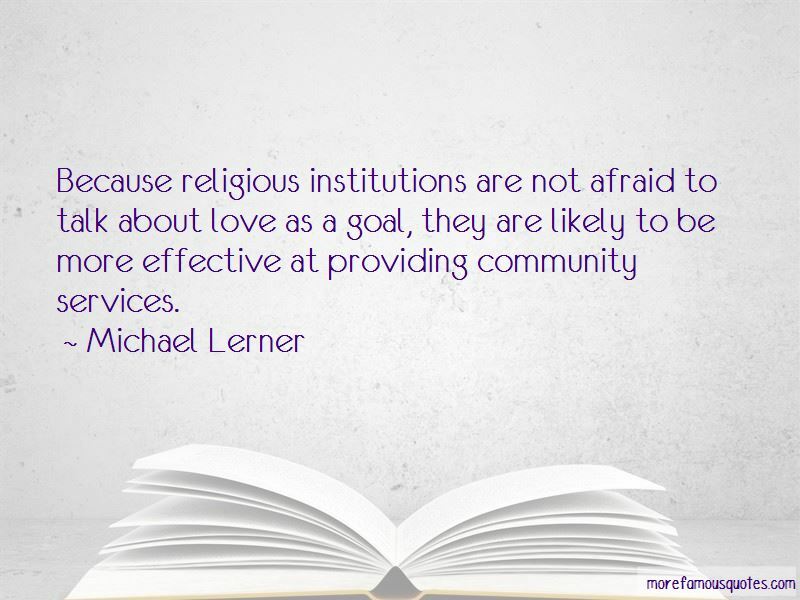 Want to see more pictures of Michael Lerner quotes? 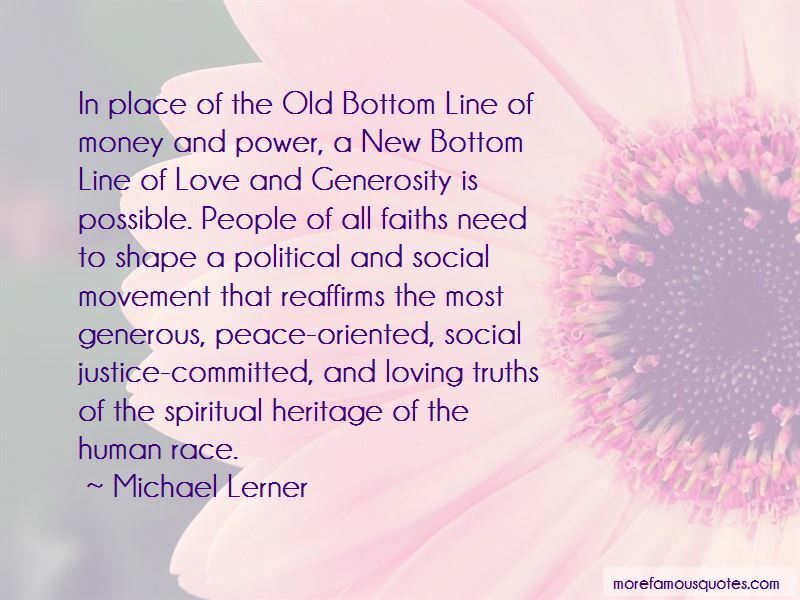 Click on image of Michael Lerner quotes to view full size.